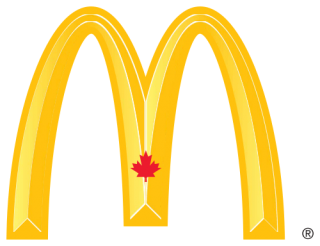 In Canada, an average of 21 young workers dies each year. 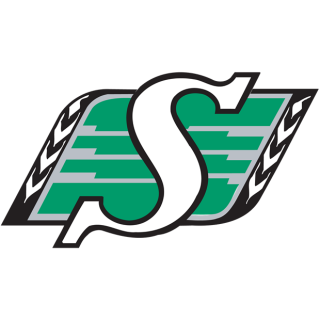 In Saskatchewan, young worker injuries are not declining fast enough. On average, 3 young workers are injured every day on the job. These heartbreaks and injuries can be prevented with proper safety training and education. 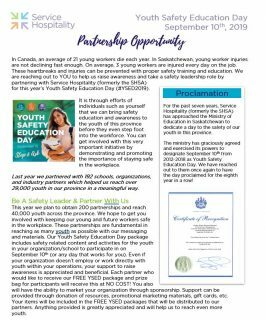 We are reaching out to YOU to help us raise awareness and take a safety leadership role by partnering with Service Hospitality (formerly the SHSA) for this year’s Youth Safety Education Day (#YSED2019). 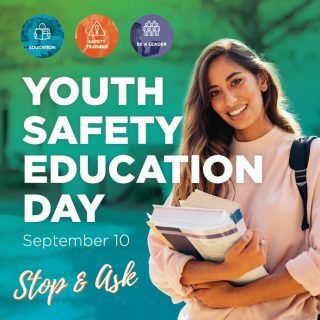 It is through efforts of individuals such as yourself that we can bring safety education and awareness to the youth of this province before they even step foot into the workforce. 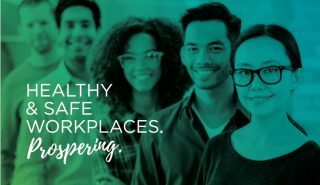 You can get involved with this very important initiative by demonstrating and promoting the importance of staying safe in the workplace. Last year we partnered with 192 schools, organizations, and industry partners which helped us reach over 29,000 youth in our province in a meaningful way. This year we plan to obtain 200 partnerships and reach 40,000 youth across the province. 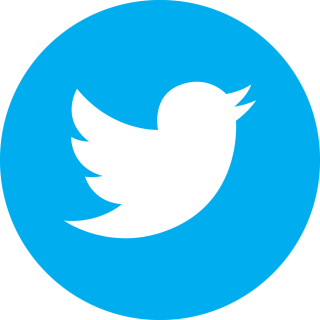 We hope to get you involved with keeping our young and future workers safe in the workplace. These partnerships are fundamental in reaching as many youth as possible with our messaging and materials. 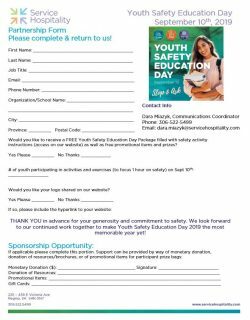 Our Youth Safety Education Day package includes safety related content and activities for the youth in your organization/school to participate in on September 10th (or any day that works for you). Even if your organization doesn’t employ or work directly with youth within your operations, your support to raise awareness is appreciated and beneficial. 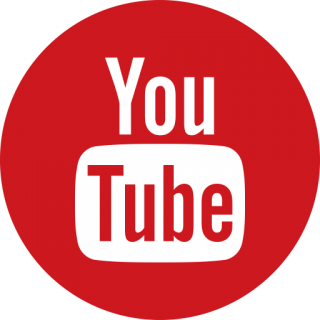 Each partner who would like to receive our FREE YSED package and prize bag for participants will receive this at NO COST! 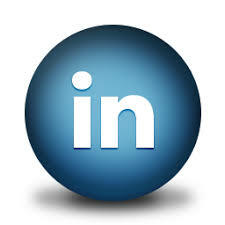 You also will have the ability to market your organization through sponsorship. Support can be provided through the donation of resources, promotional marketing materials, gift cards, etc. Your items will be included in the FREE YSED packages that will be distributed to our partners. Anything provided is greatly appreciated and will help us to reach even more youth. 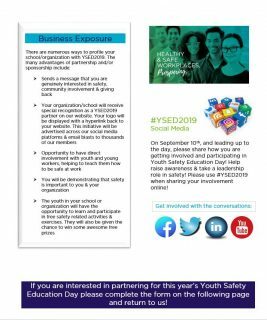 If so, please download our YSED2019 Partnership Letter form and let us know how you can help us raise awareness and contribute to this very important youth safety initiative! 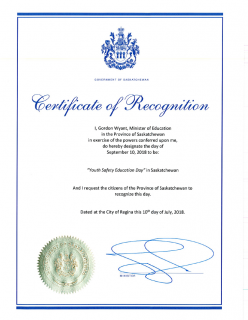 A day proudly proclaimed by the Government of Saskatchewan since 2012! In the end, this is about protecting our kids, and our future. 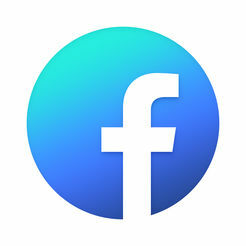 Don’t miss out on the opportunity to participate! On September 10th, and leading up to the day, please share how you are getting involved and participating in Youth Safety Education Day! 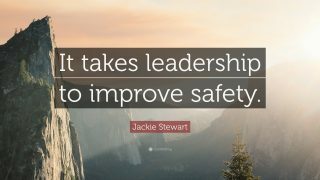 Help raise awareness & take a leadership role in safety! 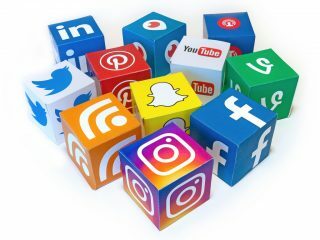 Please use #YSED2019 when sharing your involvement online!